One of the most important risks in Turkey is the high seismic activity in the region. Therefore, identification of high risk structure inventory under earthquake conditions as a priority and reinforcement or demolishing/renovation within the scope of disaster risk planning is a priority subject. In this respect, Law no. 6306 of Transformation of Areas under the Disaster Risks and issued in 2013 includes highly important information and methodology regarding identification of risk level for either individual structures of or an area including numerous structures. The first of the methodology included in the appendices of the application instructions of this law describes regulations on identification of risk level of an individual structure and the second methodology regarding prioritization of risk level via expedited assessment of numerous structures within an area/region. Increase in probability of occurrence of an earthquake in cities such as Istanbul where numerous structures exist increases the necessity of conducting rapid assessment of earthquake risk of numerous structures and conducting necessary studies required for planning of renewal at regions where level of risk is higher. One of the most important risks in Turkey is the high seismic activity in the region. Therefore, identification of high risk structure inventory under earthquake conditions as a priority and reinforcement or demolishing/renovation within the scope of disaster risk planning is a priority subject. In this respect, the Regulation on the Implementation of Law no. 6306 includes highly important information and methodology regarding identification of risk level for either individual structures of or an area including numerous structures. The first of the methodology included in the appendices of the application instructions of this law describes regulations on identification of risk level of an individual structure and the second methodology regarding prioritization of risk level via expedited assessment of numerous structures within an area/region. Increase in probability of occurrence of an earthquake in cities such as Istanbul where numerous structures exist increases the necessity of conducting rapid assessment of earthquake risk of numerous structures and conducting necessary studies required for planning of renewal at regions where level of risk is higher. For this purpose, it is necessary to correlate the assessment methodologies of individual structures and of many structures in a rapid manner as explained in the Regulation on the Implementation of Law no. 6306 for studies of assessment of risk level for these areas and of prioritization. Therefore, in this study a new method is formed and proposed herein which combines the application of these two methodologies. This new methodology is applied at total of 5561 structures located in 6 different neighbourhoods of Okmeydanı region of Beyoğlu district (i.e., Fetihtepe, Kaptanpaşa, Keçeci Piri, Kulaksız, Piri Paşa and Piyale neighbourhoods) and one of the most comprehensive studies on application of the Law has been conducted. The method is developed as a general methodology that can be applied to identify risk status of any region based on superstructure distribution. The methodology supports the rapid assessment and detailed assessment methodologies given respectively in “Annex-A” and Annex-2 of the Regulation on the Implementation of the applicable law, and set forth based on scientific literature. Boore K.M., Joyner W.B., Fumal T.E., 1997, “Equations for Estimating Horizontal Response Spectra and Peak Acceleration from Western North American Earthquakes: A Summary of Recent Work”, Seism. Res. Lett., Vol. 68, No1, pp.128-153. BSSC, 1997, NEHRP Provisions for Seismic Regulations for New Buildings and Other Structures 1997 Edition, Part 1: Provisions, FEMA 302, Federal Management Agency. Campbell K.W., 1997, “Empirical Near-Source Attenuation Relationships for Horizontal and Vertical Components of Peak Ground Acceleration, Peak Ground Velocity, and Pseydo-Absolute Acceleration Response Spectra”, Seism. Res. Lett., Vol. 68, No.1, pp.154-179. Deprem Bölgelerinde Yapılacak Binalar Hakkında Yönetmenlik (DBYBHY), 2007. In Turkish. Pacific Consultants International and OYO Corporation, 2002, The Study on A Disaster Prevention / Mitigation Basic Plan in Istanbul Including Microzonation in The Republic of Turkey, Final Report, Japan International Corporation Agency (JICA) and İstanbul Metropolitan Municipality (İMM), 655 s.
Spedich P., Joyner W.B., Lindth A.G., Boore D.M., Magraris B.M., Fletcher J.B., 1999, “SEA99: A Revised Ground Motion Prediction Relation for Use in Extensional Tectonic Regimes”, Bull. Seism. Soc. Am., Vol 89, No. 5. Wald D.J., Quitoriano V., Heaton T.H., Kanamori H., Scrivner C.W., and Worden C.B., 1999, “Trinet ShakeMaps: Rapid Generation of Peak Ground Motion and Intensity Maps for Earthquakes in Southern California”, Earthquake Spectra, Vol. 15, No. 3., pp. 537-555. ISNAD ANIL, OZGUR , Koçkar, Mustafa Kerem , Şahmaran, Mustafa . "Field Applications For Risk Assessment Methods of Urban Transformation Law No. 6306: A Case Study Of Beyoğlu". 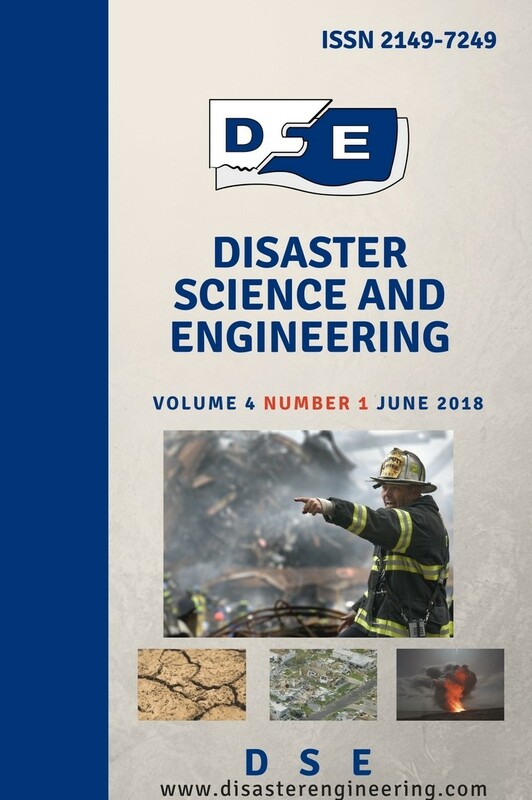 Disaster Science and Engineering 4 / 2 (December 2018): 54-64.